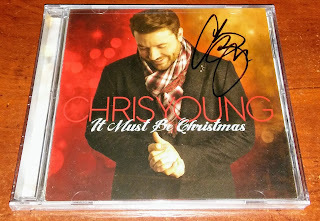 CMAFestMeetandGreets.com - Autographed Chris Young "It Must Be Christmas" CD Giveaway! CMAFestMeetandGreets.com is giving away an autographed copy of Chris Young's It Must be Christmas on compact disc! One winner will be selected at random from all entries on Friday, June 2, 2017 at 5 PM ET.